Since we partnered with Kustomer six months ago, more and more companies have become our customers and benefitted from the software Brad and Jeremy have built. They include Ring, Rent the Runway, Glossier, Away Travel, UNTUCKit and Sweetgreen. There’s a category of businesses who deeply value the relationship with their customer. They don’t call their customer support agents by that name, but by other words: ambassador, relationship manager, guide, friend, and many other words that better capture the idea that commerce happens between two people. Not one person and a company. It’s those companies that we strive to serve at Kustomer. By unifying all the information about a customer in one place and providing a platform to act faster, with more knowledge, Kustomer empowers those businesses to fulfill their brand promises. That segment of companies who value support and customer engagement are underserved by existing platforms and they constitute a very large and growing segment. Beyond the round and the milestone, I’m excited to be working with Neeraj Agrawal at Battery, one of the top investors in software companies. 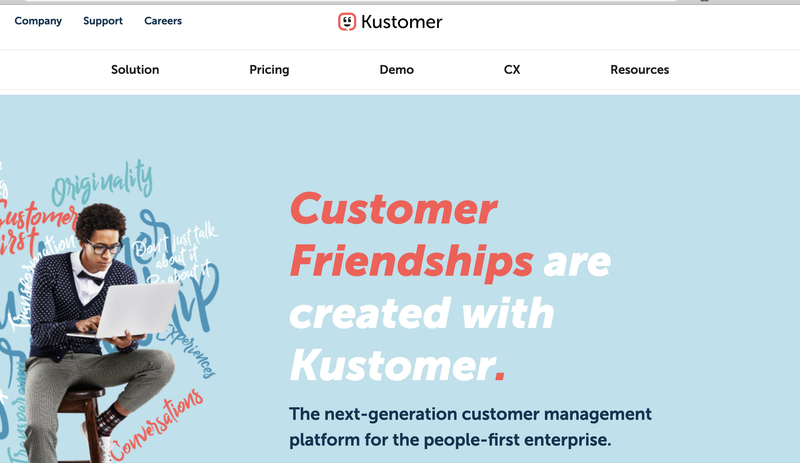 Kustomer’s milestone is a step forward for the company and for a broader movement of startups satisfying the needs of underserved customer segments.